For years, Paul searched for answers as tragedy after tragedy struck his family. But his search was in vain. 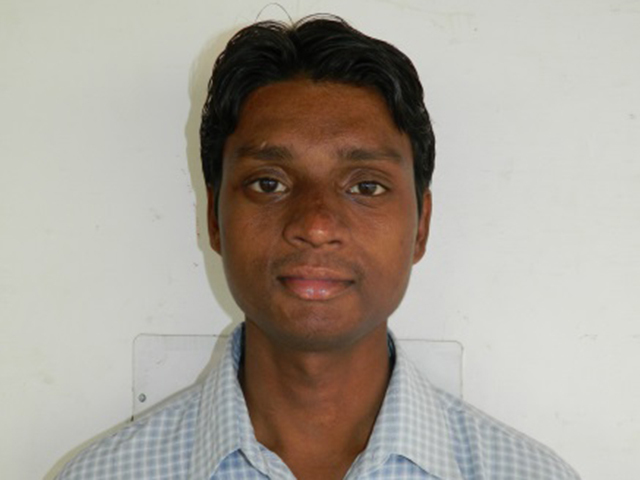 Growing up in Gadijeevanram, India, he was taught to depend on the local Hindu gods for protection and blessing. But when his father died in a violent bicycle crash, leaving the family destitute, these idols offered Paul no comfort. After his younger brother contracted tuberculosis, Paul became more desperate. He traveled each week to worship at the Hindu temples as well as at a Muslim shrine, hoping that at least one of these gods would hear his prayers. Still, his family continued to experience difficulties with no answers to their pleas for help. Although Paul’s brother eventually received treatment for tuberculosis, he soon developed another illness that no one could identify. “We were tired of searching for new gods and new places for help,” Paul said. Just when Paul’s family was about to give up hope, Paul’s friend Padam told him he knew someone who could heal his brother . . . Jesus. Padam introduced Paul to his pastor, who shared the Gospel with Paul and traveled to Gadijeevanram to pray with his family. Unlike Paul’s prayers to the Hindu and Muslim deities, this prayer was answered. Paul’s brother was completely healed, and his entire family accepted Christ as their Savior. 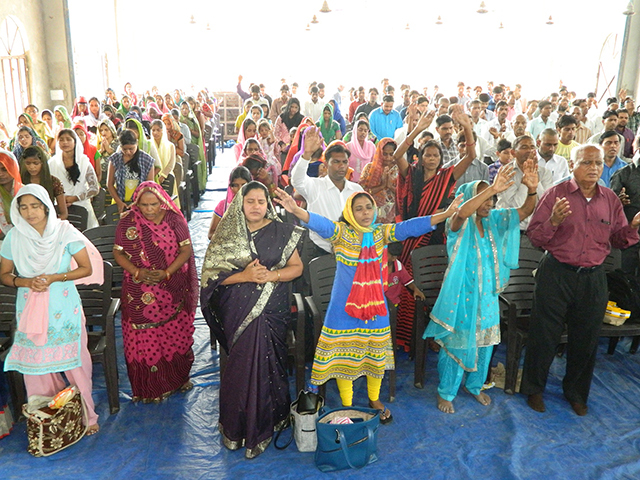 They soon joined a local congregation made up of 300 new believers. As Paul and the others spread the message of God’s love in their community, they discovered many of their neighbors were also tired of gods who never answered. Their church grew steadily until there was no longer room in their small meeting space. The church members trusted God would provide as He had so many times before. This time, their prayers were answered through the generous contribution of donors like you who provided them with the funds to construct their own building. This small group of believers is changing their community for Christ . . . and because their brothers and sisters around the world chose to partner with their ministry, they now have room to grow and reach even more people with the Gospel. Their church now stands as a beacon of hope for those who are searching for truth in a country full of darkness. 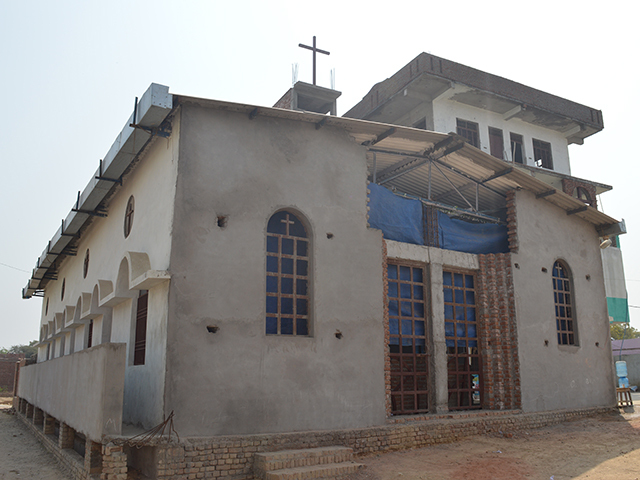 Because of the faithfulness of local congregations, the kindness of donors, and the blessings of God, hundreds of churches like this one have been built throughout the world, and thousands of lives have been changed. Many churches have been built in the center of other community development projects such as clean-water wells, education initiatives, and improved housing. This allows families searching for temporary help for their physical needs to find eternal hope in Jesus as well. Contributing to a new church means so much more than just helping construct a building. It means providing a place where people meet God, where lives are changed. It’s the answer to countless prayers.